Welcome to the new look SpotterGuides.com The new layout and structure should make it easier for you to find the guide you need on the site. 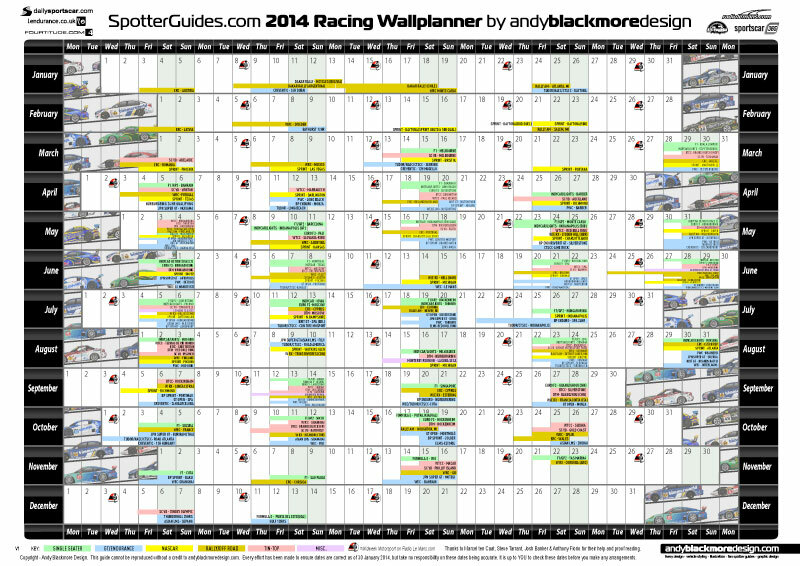 We have started off our 2014 season with a new IMSA Race Day viewing guide. 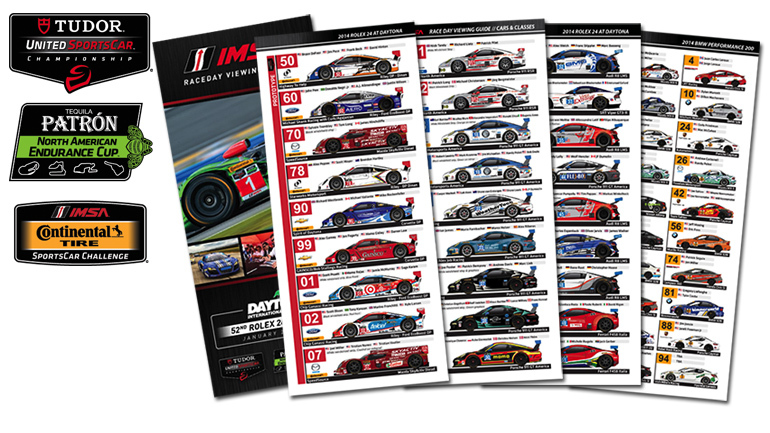 Created by IMSA with Spotter Guide art by Andy Blackmore Design, this is a new look guide which is available at the circuit. We have also released it for online download and printing. It is a different format, so one tip is to open the guide in Acrobat and choose side-by-side printing. This will place 2 pages on one sheet of paper. The PDF also works well on mobile devices due to its proportions. 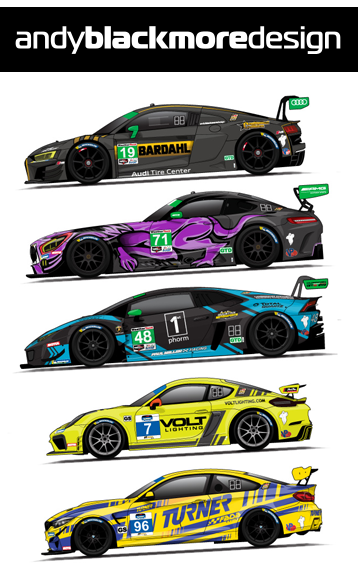 You can download the guide on the IMSA Page.